The ruling, by U.S. District Judge Peter Messitte, marks the first time that a lawsuit of this kind has cleared the initial legal hurdle — a finding that the plaintiffs have legal standing to sue President Trump in the first place. WASHINGTON – A federal judge ruled that the District of Columbia and Maryland may proceed with a lawsuit against President Donald Trump alleging that Trump’s business dealings have violated the Constitution’s ban on receiving improper “emoluments,” or payments, from individual states and foreign governments. The ruling, by U.S. District Judge Peter Messitte in Maryland, marks the first time that a lawsuit of this kind has cleared the initial legal hurdle – a finding that the plaintiffs have legal standing to sue the president. 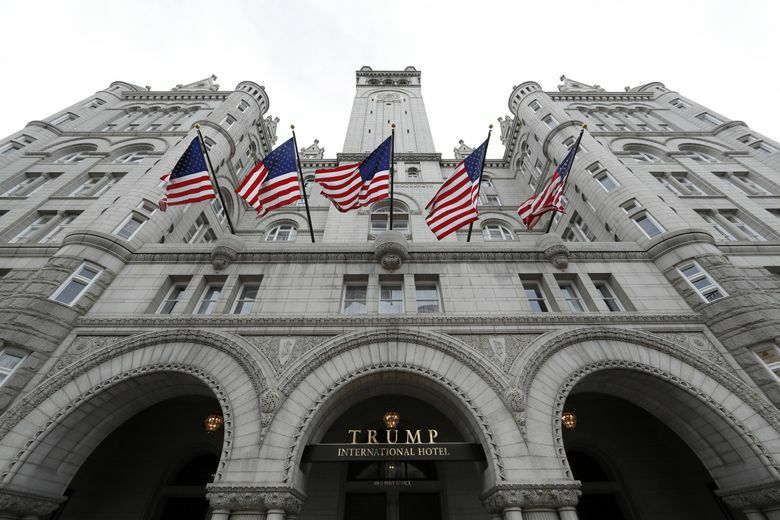 In his opinion, Messitte gave credence to arguments by D.C. Attorney General Karl Racine, D, and Maryland Attorney General Brian Frosh, D, that Trump unfairly profits from business at downtown Washington’s Trump International Hotel, in which the president continues to hold a financial interest. As part of that ruling, Messitte said he rejected an argument made by critics of the lawsuit – that, under the Constitution, only Congress may decide whether the president has violated the emoluments clauses. For one thing, he said, the two jurisdictions have financial interests in their own convention centers – one in downtown Washington, another in Bethesda, Maryland. They argued that the Trump hotel had an unfair advantage in the battle for meeting business. “The basic principle here is Donald Trump is not above the law, and the court recognized that and said that we can enforce the nation’s original anti-corruption law – the emoluments clause,” he said. Trump’s attorneys have said that the term “emolument” was never meant to cover transactions such as this – not outright gifts to the president but purchases made at fair-market value. The first step in all these cases has been an argument over what lawyers call “standing” – in essence, determining whether the plaintiff has a right to sue. U.S. District Judge George Daniels ruled that the watchdog group lacked standing. He stated that the Constitution gave Congress – and only Congress – the right to enforce these rules. The case involving the District and Maryland had a hearing earlier this year before Messitte at a federal court in Greenbelt, Maryland. “The President could continue to receive unlimited ’emoluments’ from foreign and state governments without the least oversight and with absolute impunity,” Messitte wrote.